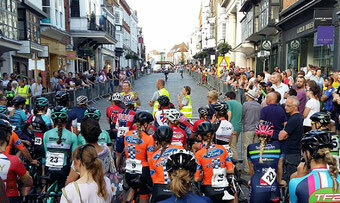 Quality racing from the top women on the local racing scene. With a new store recently opened right on the course in the centre of Guildford. The story of Neptune started with a hammock. Made around a kitchen table, their first-ever product was stitched with careful hands, a trusty sewing machine and a large dose of optimism. 20 years on, not much has changed really. The hammock has evolved into a very select collection of beautiful furniture and accessories, and a few pairs of hands have become hundreds, but the care, the commitment, the love and even that kitchen table very much remains. They adore natural materials and we respect traditional craft as much as modern making. From kitchens to bathrooms, from natural oak to hand-painted finishes, from lighting to florals, and from dressers to beds, this is their whole home concept.